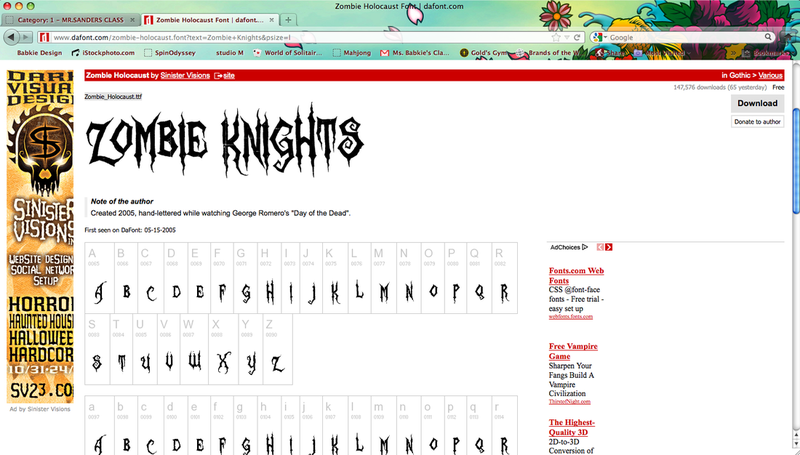 Go to dafont.com armed with an idea of the "style" of font you want to sample. 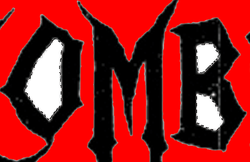 I have chosen Zombies as my theme for my Video Game so I will be looking for a Typeface to "illustrate" that on the Title of my Game Box Cover. In the Upper Right Corner of the dafont website you'll find a Search Window where you can type in the Style of Font you are looking for. Then click "Search"
You should then see something like this. 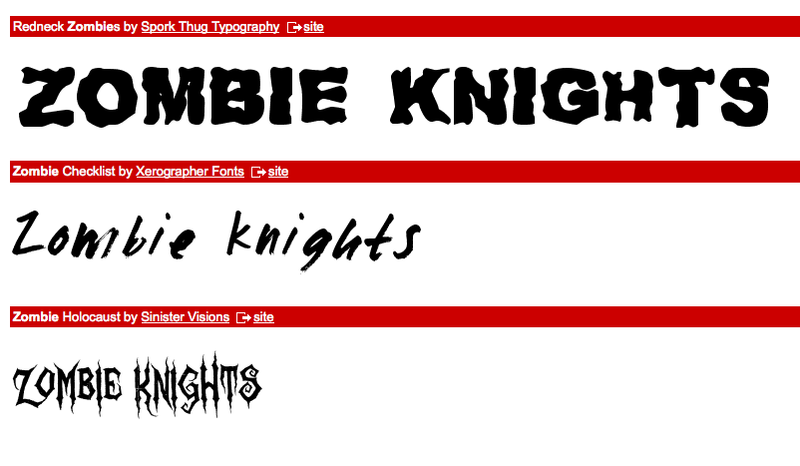 DaFont shows there are 7 Fonts for Zombie Fonts. This picture shows the first 4 Fonts under their names . . . 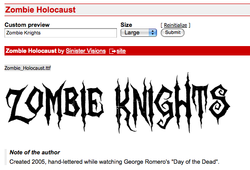 Okay, so the name of this Font is Zombie Holocaust. I clicked on that and it showed up at the top with some fun, descriptive details about its conception. Read the "Note" at the bottom. I want to make the type as large as possible so I selected "Large" in the size option window. And then clicked "Submit" again. Make sure the whole Title shows up here and doesn't get cut off over on the right side. We will deal with this issue a few steps down from here. Now this part is cool. Look on the upper right side of your Keyboard. - Give that a solid Click. 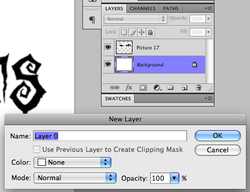 Go to Photoshop and Choose File > New and just Click "Okay". Your Screen Shot should fit perfectly . . .
draw a rectangle around all the type you want to keep. 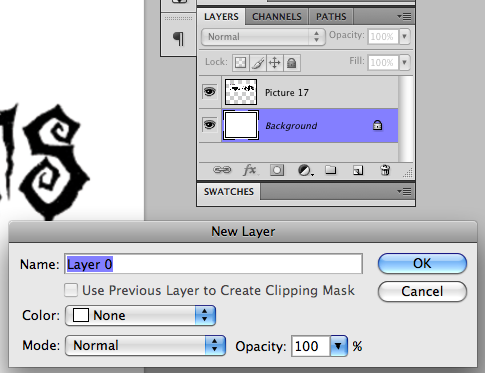 "Background" with a little lock on the right side - Double Click that Layer. 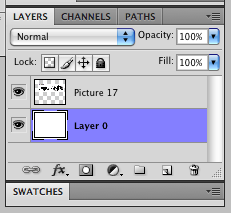 You'll see a New Layer Pop Up Menu appear. We are going to change that color in this step. 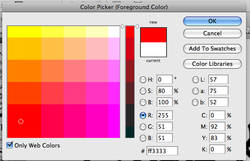 This Color Picker (Foreground Color) Pallet will Pop Up. Put that little Circle (Picker) over the color you want. 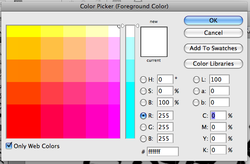 If it isn't there - click on and HOLD the Gradient Tool - the Paint Bucket is under that. Click the Paint Bucket anywhere on the page. The whole Layer turns Red. Note that the Type we've put on the Top Layer looks like a Strip of paper with our Type on it. Now we're going to isolate just the type. If it's not immediately apparent, click and HOLD the Quick Selection tool and the Magic Wand is under that. Click the Magic Wand on the White Area around the Type you want to isolate. 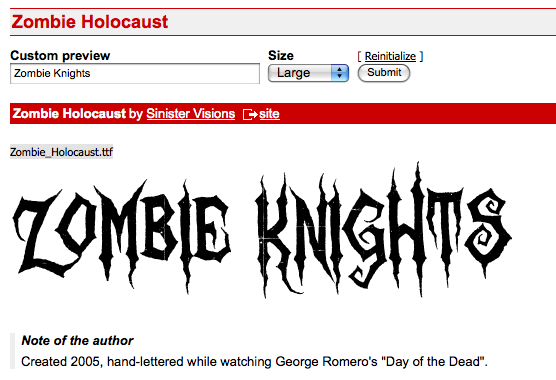 You'll notice that all the white outside of the Title looks like there are "Crawling Ants"
- a very professional term. Click Delete and all the White disappears. You'll notice there are letters with white still inside them. Use the same process . . . Hold Shift and select each area with White in it. Click Delete. Don't Change Tools! 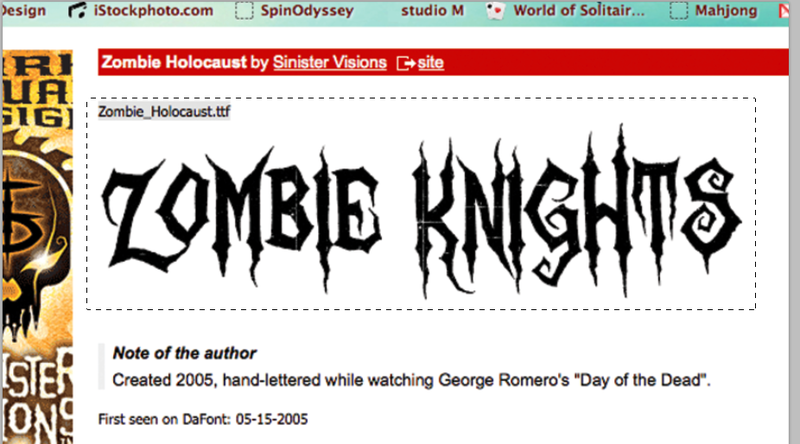 and just move the page to the left to get to the "s" at the far right end of the Title. and select all three parts that are white in this one letter - Click Delete. Click Control 0 (Zero) to make the page fit the Screen. One more part - this is a long Tut! Now we have to get rid of that bit of text at the top, left part of the Title. draw a Rectangle around that type and Click Delete. Here's that Rectangular Marquee with an empty space where that type used to be.